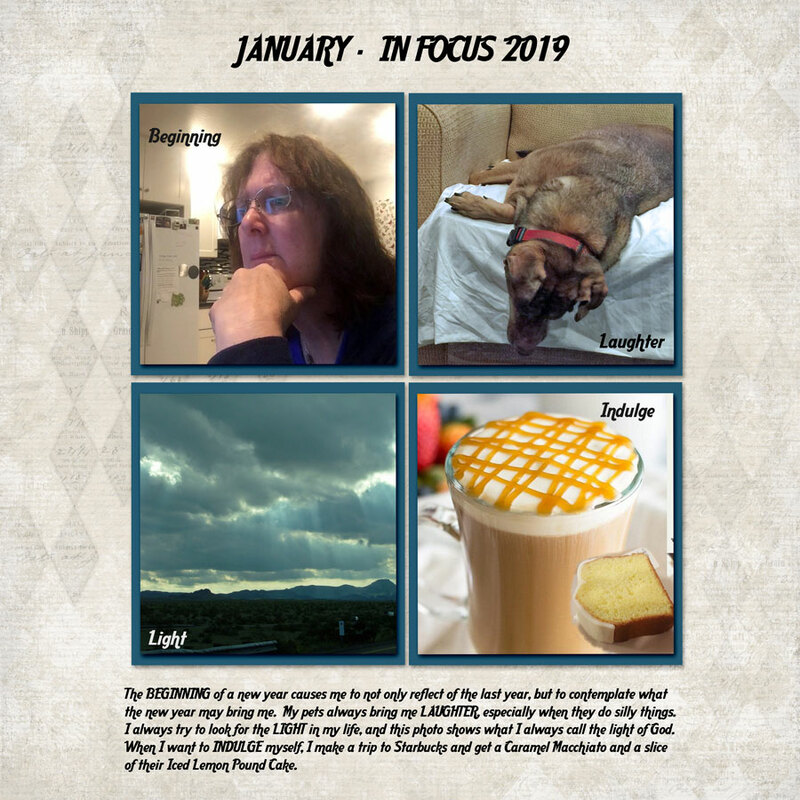 Hello and welcome to the February 2019 IN FOCUS CHALLENGE! 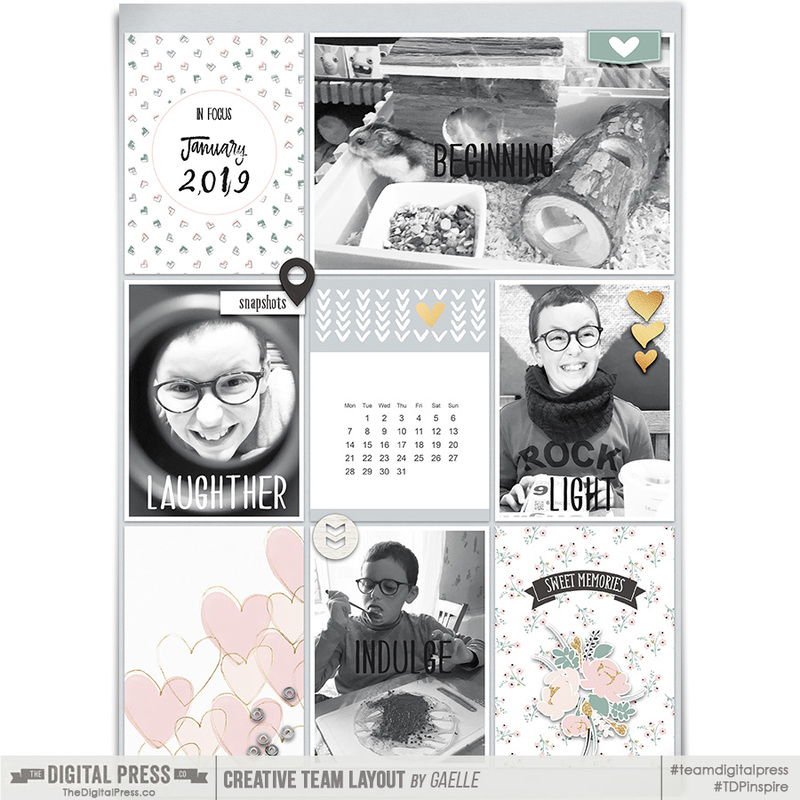 I am pretty excited to be hosting this challenge, because it means that I will be off to a great start in getting our family yearbook going for 2019! I could always do with a helping hand to keep on top of it, and this challenge, which will run all year, will be perfect! You can read more about our year-long IN FOCUS 2019 photo-prompt project HERE. I hope you have been enjoying the prompts and taking part in this photo project so far in 2019. I think it is so fun and interesting to see everyone's different interpretation of the prompts! 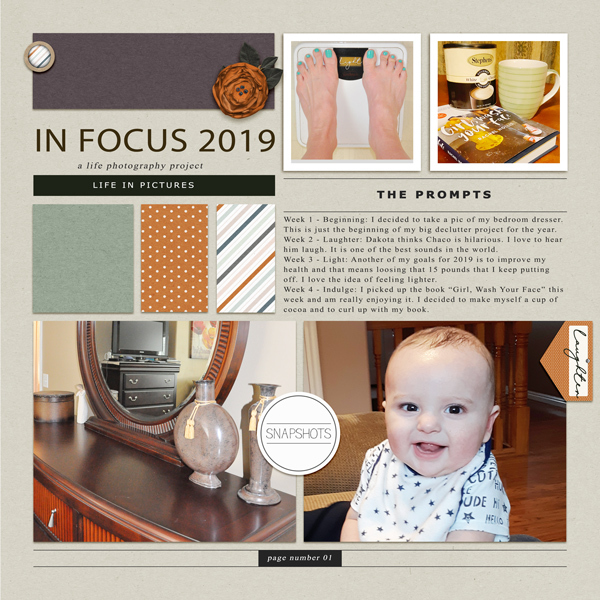 ***NOTE*** if you haven't yet participated in the IN FOCUS 2019 project... you can still do this challenge (and/or you can still join the project if you hop over to that area of the forum and use the prompts to take some photos! There's no deadline or time restraint, so you can jump in whenever you like and catch up!). For this challenge, you might prefer to dedicate a page to just the four IN FOCUS 2019 prompt photos... or use them as part of a wider collection of photos (as I did, above). It is entirely up to you! But I hope you have fun playing along with the IN FOCUS 2019 photo-prompt project, as well as this challenge, I can't wait to see what you will do! 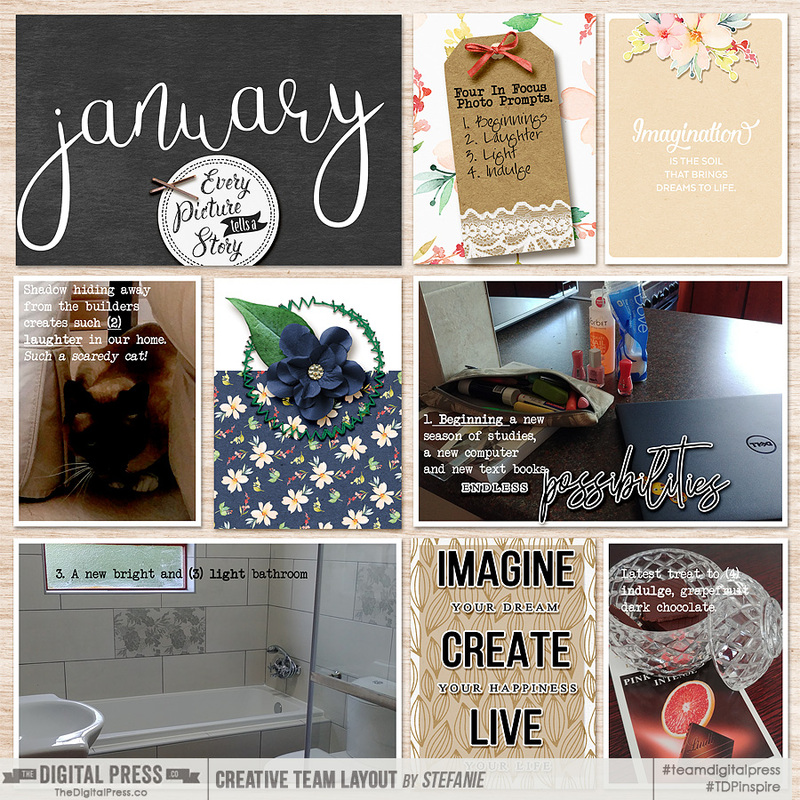 Your creation must be a new project (digital or hybrid) that uses four (4) photos that are inspired by the four (4) weekly prompts of the January IN FOCUS 2019 photo-prompt project. You must use 100% TDP products, and your layout or project must be loaded into the gallery no later than 11:59 pm ET on February 28, 2019. Once you've posted your project here in this thread ... copy the URL to that post and add it to the FEBRUARY 2019 TRACKING THREAD. Last edited by Laura Passage; 02-01-2019, 03:10 PM. That is ok, jump in whenever you are ready! love it Tiffany! I really like the idea of making this project a series of it's own. Great colours, and I really like the way you have given us a little info about each of your pictures and how they relate to the prompt. love it Gaelle, the font looks handwritten, which looks great over your photos, Thanks for joining in with the challenge! 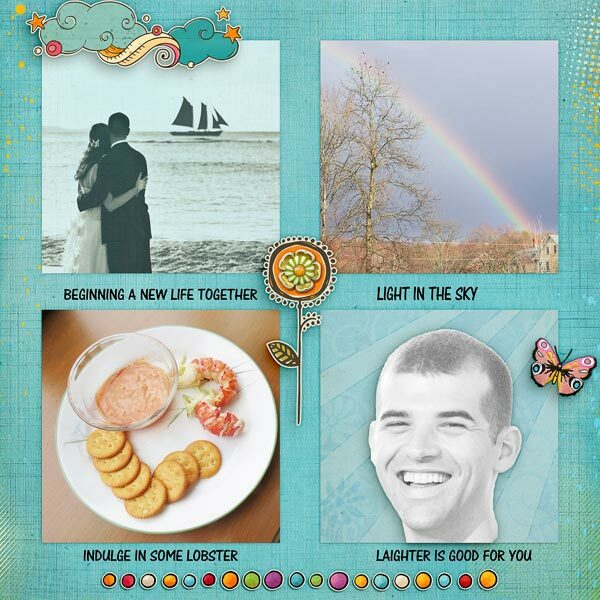 a rainbow for light - I love it! 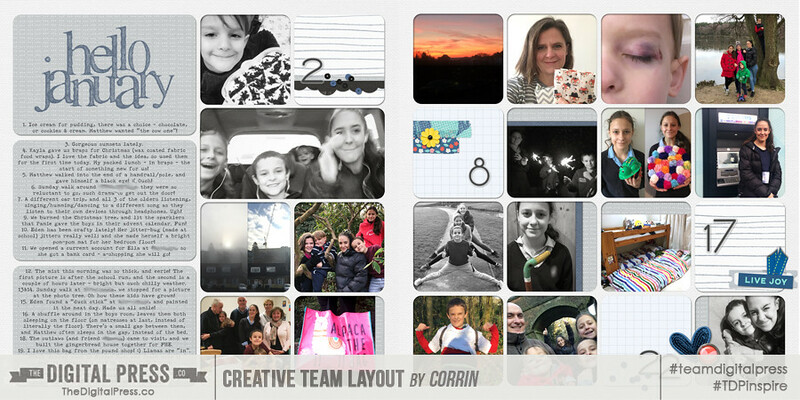 I love your elememnts too, that central flowers is lovely, perfectly shadowed and pulls all the pictures together. Thanks for joining in the challenge Barbara!